Unless you’ve been living under a rock, you know that this is Jay Leno‘s last week as host of The Tonight Show. The late night show host has stood at the helm for 22 years and is passing on the torch to Jimmy Fallon who starts February 17th. 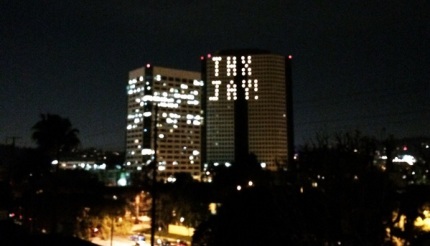 To honor Jay NBC paid tribute with a light display spelling out “THX Jay” on Burbank’s “Tower” building. Jay’s final show airs tonight. 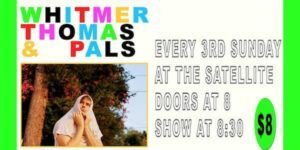 The guests will be Billy Crystal and Garth Brooks. Thanks for all the great laughs over the years, Jay! We’ll miss you!